I traveled 5 hours by coach to Pulau Pinang from Kuala Lumpur. Then I took a ferry to Butterworth, and boarded another bus to Sungai Petani. Finally, I hoped into a taxi for a short ride to my hotel. All this to support the inaugural SP Half Marathon 2012. For me, it was definitely not the destination but the journey which made it all worthwhile. Despite all the problems encountered by the new organisers, I hope they learnt from their shortcomings & never repeat the mistakes. My advise to the event organiser is:- (1) Learn from other successful events (2) Keep within the budget (3) The total number of participants should be determined by budget & logistic limitations (4) Never run-out of water at drink stations (5) Drink stations should be evenly distributed e.g. every 5Km (6) Keep to timetable (7) Storage counter should be made available (8) Toilets (fixed and/or portable ones) must be made available(9) Keep participants informed of all important aspects in advance (10) Support outstation runners by giving them necessary information on transport & accommodation, and even, local points of interests (e.g. recommend eateries & local places of interest). If you decide to hold this event next year, I wish you all the best. 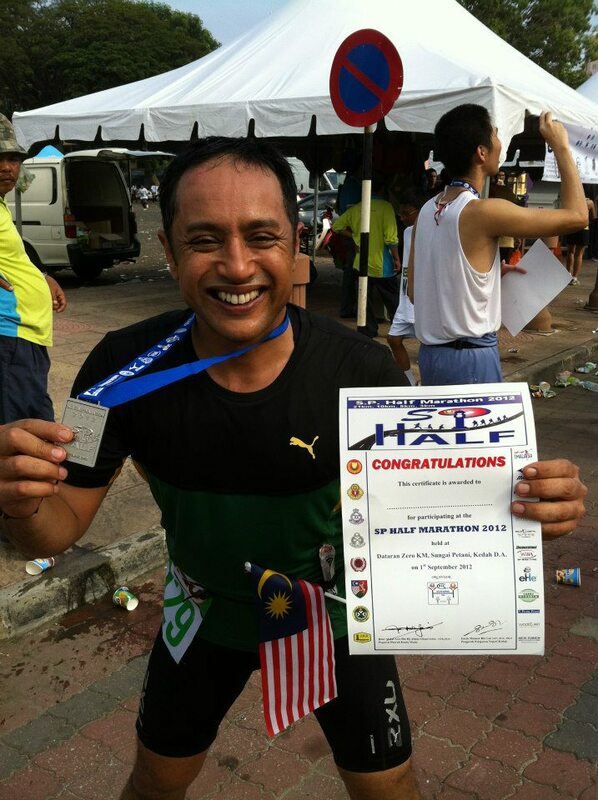 This entry was posted in Happy Running, Running, Sports and tagged accomodation, Big Clock, budget, bus, destination, events, ferry, half marathon, inaugural, journey, organisation, outstation, runners, storage, Sungai Petani, support, taxi, timetable, toilets, transportation, water, waterstation. Bookmark the permalink. short and nicely written post run report. this is what we need – constructive comments. looking forward to see you more often in road races.